The proportion of clients planning to take digital work in-house has more than halved in a year, while more than half of clients expect to increase their digital spend in 2016, according to new research. The survey of 629 marketers, which has some upbeat findings for PR agencies with digital capabilities, found 13 per cent expected to take their digital work in-house this year. Twenty-seven per cent expected to do so one year ago. The Global Digital Outlook Survey found 55 per cent of clients expected to increase their digital spend in the coming 12 months, up from 48 per cent last year. Just 11 per cent forecast a fall in the next 12 months. 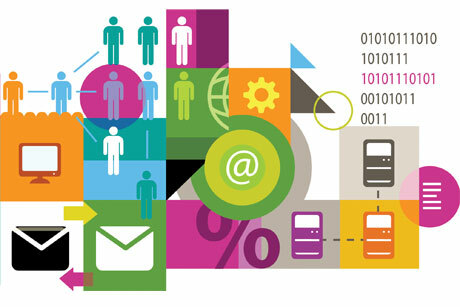 According to the survey – which is included in the latest SoDA (Society of Digital Agencies) Report and conducted in association with Forrester Research – the most important priority for clients is "digital experience" such as website creation (82 per cent), ahead of content development (76 per cent). Less positively, the number of agencies reporting relationship improvements with their clients fell from 70 per cent to 53 per cent. Although most agencies said changes in management were the number one reason to get fired (56 per cent, up from 33 per cent in 2015), clients reported pricing or value as the primary reason they terminated a contract (37 per cent). Chris Buettner, editor of The SoDA Report, said: "There’s a positive outlook for agencies and clients alike. With an eight-point increase in the number of marketers predicting spend increases, a trend toward digital agency specialisation (despite recent media reports suggesting large-scale agency consolidation), and an acute need for innovation on the client side that is leading to more marketer-agency collaboration, the future is bright for forward-thinking digital shops. "However, agencies still have a long way to go to align with clients around issues such as client priorities, causal factors involved in client-agency ‘break-ups’, and what needs to be done to improve lacklustre client satisfaction levels."